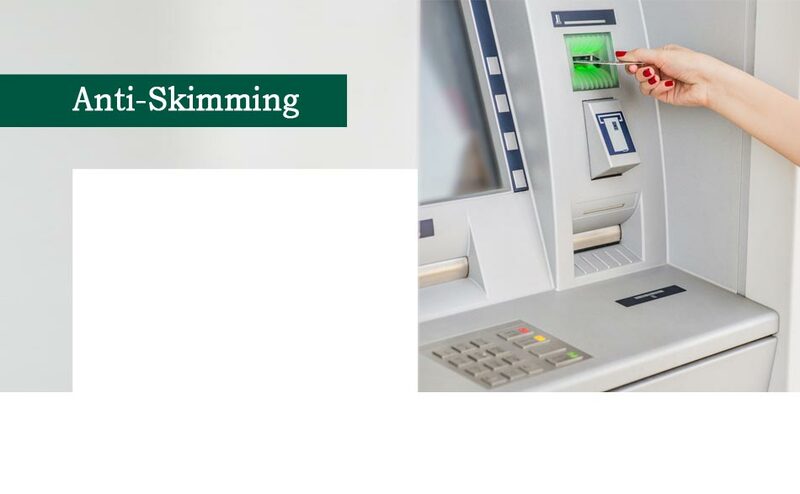 When it comes to fighting ATM-skimmers, BD&E is stepping forward to protect our customers. We are encouraging our customers to be proactive. We are educating them by providing free seminars that include tips, skimmer awareness seminars and hardware that will help cut losses. We are teaming with NCR, to provide the Skimming Protection Solution program to our customer base. Please contact your BD&E representative or call us at 800-671-7300. Ask us about scheduling a Skimming Protection Solution seminar at one of your facilities or branches.